Let them know you appreciate their thoughtful gift or act of kindness. 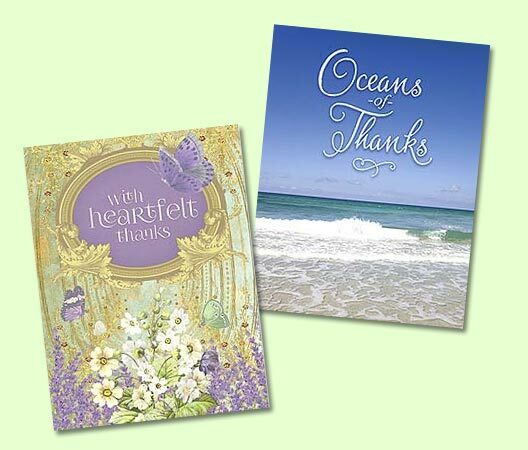 A 'thank you' greeting card or note of appreciation is a great way to let someone know just how much you appreciate what they have done for you! It may be an act of kindness, a great gift or simply their friendship and support. Show your appreciation and say 'thank you' with whimsical or sentimental thank you greeting cards from LeaninTree.com! 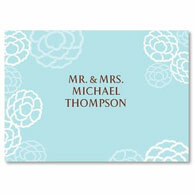 You'll find a variety of designs including Thank You Cards for Wedding Gifts, Christian Thank You Cards, and more!